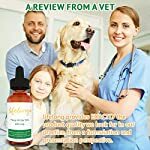 ✅ NATURALLY SAFE FOR YOUR PET: Safest option to keep your pets healthy. Has been extensively tested by a third party to ensure highest quality. 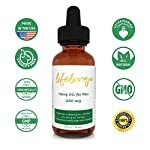 Our hemp oil for anxiety is just the right concentration and not too strong for any of your pets. ✅ MADE WITH MCT OIL NOT HEMP SEED OIL: Most products use hemp seed oil. Pets don’t like the taste and it can give them diarrhea. 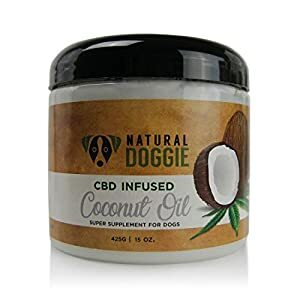 We use MCT Oil instead with the highest potency hemp extract mixed with oil from organic coconuts for a taste that pets LOVE. 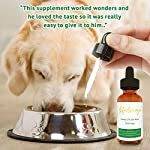 ✅ HELPS WITH SEPARATION ANXIETY, ARTHRITIS, SKIN ALLERGIES, HIP & JOINT PAIN, CPD and MORE: A calm, healthy, happy pet is what you get with our product. You will notice a difference in coat, anxiety, arthritis and pain management. Do you want to have the highest quality product to provide your beloved pet with relief from pain? 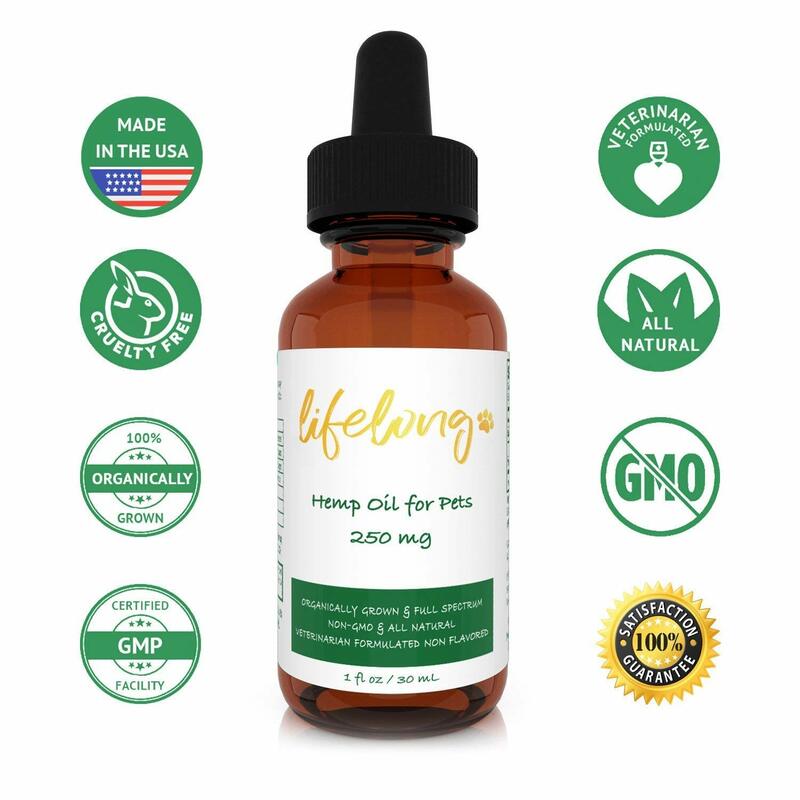 Look no further than our lifelong hemp oil for pets! 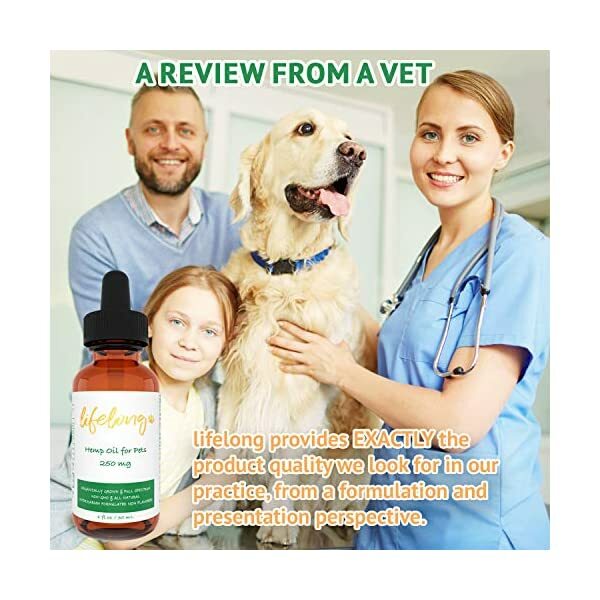 ✓ Our Hemp Extract Oil helps your pet experience relief from anxiety, arthritis, and joint pain. 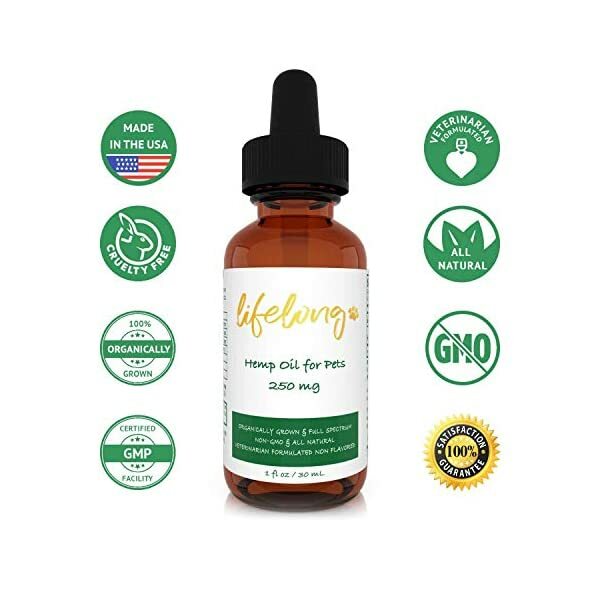 Our Hemp Oil for cats will provide a new level of quality of life for your pet. 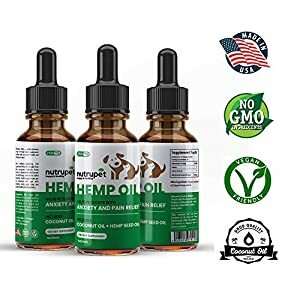 ✓ Our hemp oil tastes far better then our competitors. We make ours with the highest quality mct oil and organic hemp grown in the U.S.A.
✓ Feel confident about giving our product to your pet! ✓ Made in the U.S.A. Many people are worried about the products they are giving their pets. We stand behind our products 100% to provide your pet with relief from aging pain and anxiety. Lifelong Pets is a U.S.A. based company. We stand by our products 100%. If you are unsatisfied for any reason we will send you your money back. ANXIETY RELIEF: reduces separation anxiety, calms aggressive dogs, helps with fear of thunderstorms or long-distance traveling. NO SIDE EFFECTS: won’t damage the liver, kidney or GI tract and can take with other medications. DIETARY SUPPLEMENT: can be administered daily as part of your pet’s diet. DIGESTION ISSUES: helps with loss of appetite, nausea and gastrointestinal swelling. 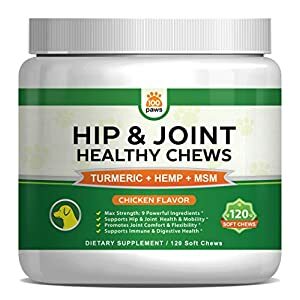 GREAT FOR OLDER PETS: helps with arthritis and joint pain, helping with general mobility and energy. GENERAL WELLNESS: anti-inflammatory properties that help with swelling, pain, stiffness, recovers from sprains, strains and broken bones. Fatty acids Omega 3, Omega 6 & Omega 9. OVERALL HEALTH: improves skin & coat health, improves sleep, reduces seizures and spasms. ✅ ORGANICALLY GROWN IN THE USA!! Forget the foreign manufacturers! ALL of our DESIGN, MANUFACTURING, and TESTING done right here in the United States. Our product and brand speaks for itself when you experience the effects it has on your pets! ✅ RESULTS OR YOUR MONEY BACK. NO QUESTIONS ASKED. Our USA customer service team stands by with lightning quick responses to your every need. Your satisfaction is our #1 priority. Symptom relief for your pet or your money back.